I’ve literally linked your page directly to young ladies I work with. As a large strong man, I get thrown the same question a lot, as if I’m a walking P.T. I tell them the truth but they don’t want it – it’s always about the 2lb dumbbell and salad for lunch. 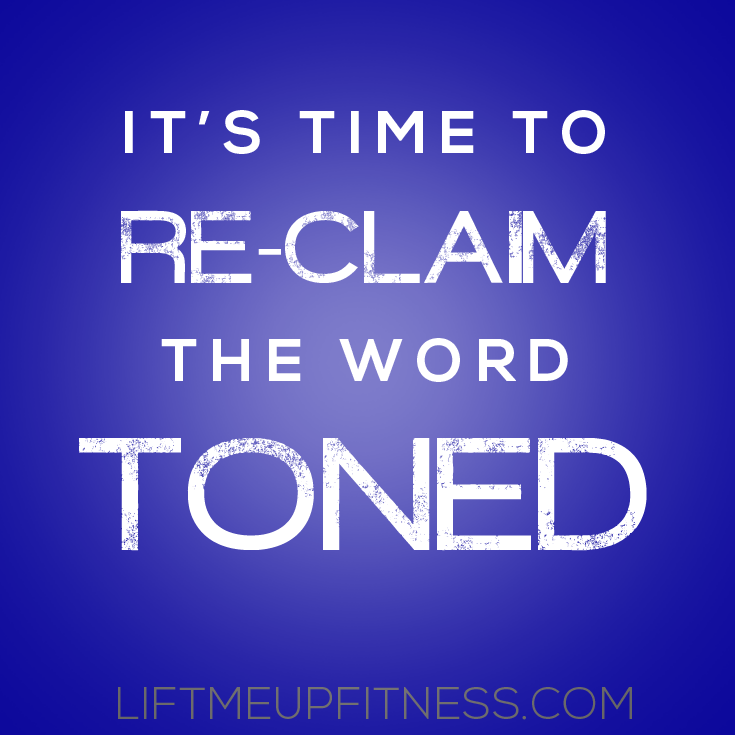 I hope this well written article coming from somebody else helps save me from the TONED curse. Thanks for sharing! Yes, it can definitely be frustrating, and I’m sure being a man it can be hard to get that message across. My hope is that as time goes on, this message becomes far more prevalent!